In the late eighties much was made in the secular press with barely suppressed glee of the carbon dating tests conducted on the “Shroud of Turin” that “proved” definitively that it was at best medieval pious art and at worst just another fraudulent prop thrown up by a dying religion–certainly not the authentic burial cloth of Jesus. I remember thinking that late nineteenth century revelations of the shadowy photographic negative image deepened the enigma of how the shroud was fabricated, but, while fascinating, was not essential to my faith one way or the other. I was fully prepared to accept it as the work of a skillful medieval artist. The “Shroud of Turin” is currently on public display for the next few months. Many still believe it is the burial cloth which wrapped the body of Jesus. Since the startling discovery in 1898 that the image of a scourged, crucified man wrapped front and back is seen much more clearly in a photographic negative, scientific inquiries have been made to ascertain or debunk its origin. The results are mixed, but the presence of human hemoglobin and blood serum is undisputed: type AB negative and possessing both X and Y chromosomes, hence male. How the image was created remains a mystery. The carbon 14 dating was done on tiny samples clipped from the edges of the cloth in 1988. The samples were necessarily tiny because carbon dating techniques destroy the tested material. The results came back that the cloth was dated between 1260 and 1390. The findings have been disputed, positing that the samples may have been contaminated from repairs woven in by nuns after the shroud was damaged and rescued from a medieval fire. Computer models of the results were unusually scattered unlike other more consistent data from typical carbon date tests. In 2002, three different series of extensive testing were conducted on the Shroud – two chemical analyses of the materials of the linen and the stains and one microscopic mechanical examination of the original weave, comparing it to a database of all known weave and hem sewing patterns of linen. All three confirmed dating compatible with the historical time of the life and death of Jesus. [ii] See the footnote reference below for detailed explanations. The original carbon dating was found to be inaccurate; the area from which the samples were taken were compromised (the medieval patches and backing cloth added after the fire damage). The patterns of blood stains and the image on the shroud were consistent with crucifixion by the Roman government and burial practices of devout Jews. Next, Physicist Paolo Di Lazzaro and colleagues from Italy’s National Agency for New Technologies, Energy and Sustainable Economic Development (ENEA) spent five years trying to duplicate the shroud’s image using state of the art lasers to focus short bursts of ultraviolet light. In 2011, they published their partial success on a few square centimeters of raw linen. 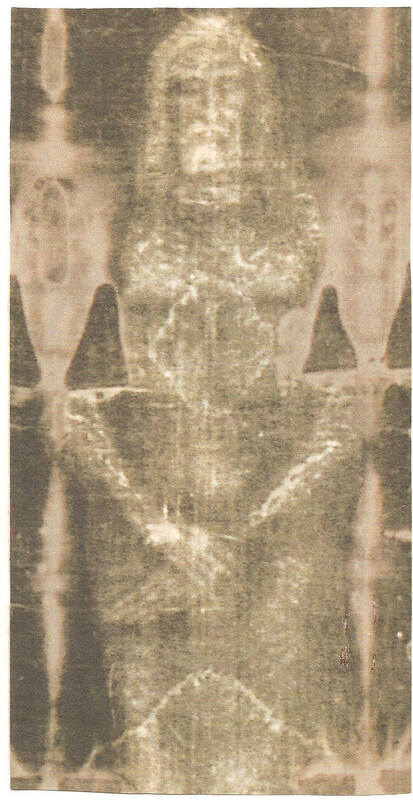 They were unable to match all the physical and chemical characteristics of the shroud or to produce anything close to the full size human image on 53 square feet. The team found that to emulate an image of that size, albeit imperfectly, would require laser “pulses having durations shorter than one forty billionth of a second, and intensities on the order of several billion watts, which exceeds the maximum power released by all the ultraviolet light sources available today.” Presumably the ultraviolet light sources available 2,000 years ago or to a medieval forger were fewer. Dr. Di Lazzaro said, “One could look at hypotheses outside the realm of science, a sort of miracle, but a miracle cannot be investigated by the scientific method.” Just so. “Ask yourselves whether you belong to his flock, whether you know him, whether the light of his truth shines in your minds. I assure you that it is not by faith that you will come to know him, but by love; not by mere conviction, but by action.” St. Gregory, the Great. Those scientists…what do they know? Dr. Di Lazzaro’s findings are very intriguing. However, the absence of an explanation using our current scientific abilities does not mean there is no explanation. Like you said, it’s a mystery… for now.